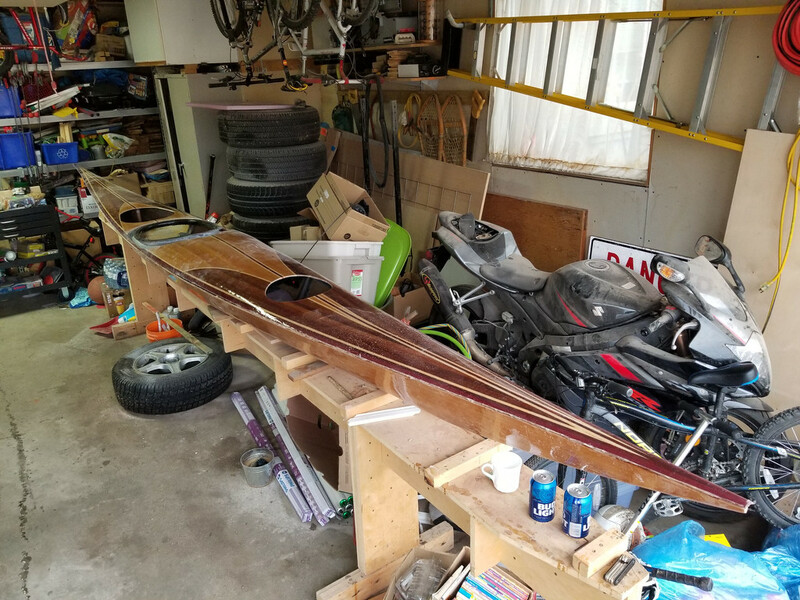 Wow, hockey season kind of got in the way, and I hadn't really worked on the kayak since last August. Time for that to change! I managed to cut the wood/fiberglass and clean out the foam filler around the coaming - mostly - and it's looking very nice. Still needs a bit more work, but it's 90% of the way there. Tonight I decided it was time to lay out and cut the forward and aft hatches, which accounts for the two extra holes in the deck. Very happy with the result - next step is to build the inner hatch lips with rare earth magnets inserted into the lips and lids. That will result in clean lines with the hatch covers constructed from the deck cutouts.